Nowadays, the digital technologies are transforming industries with a tremendous impact on business models, processes, jobs, structures, and culture. Digital is redefining the tenets of economies of scale and is fostering change towards an era in which networks and platforms will be the key factor for competitive advantages. 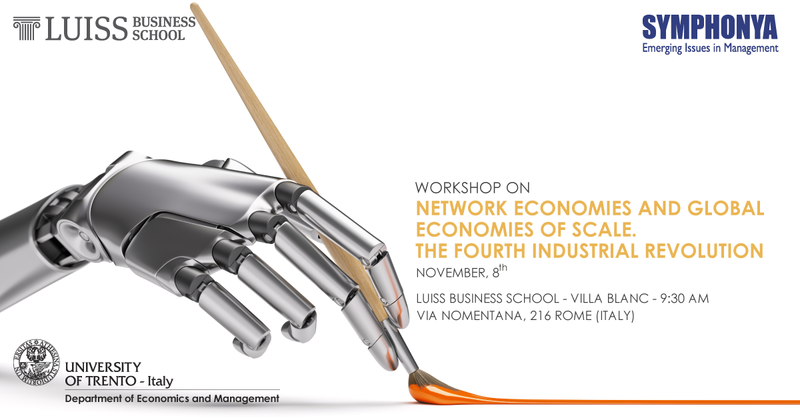 After the first workshop at the University of Trento, in order to navigate the Fourth Industrial Revolution, LUISS Business School will present a new workshop on the effect of network economies and global economies of scale, in partnership with “Symphonya. Emerging Issues in Management”. The workshop will be held at Villa Blanc on November 8, starting from 09:30 AM. The event is open to the public, but for organizational issues the registration is compulsory.